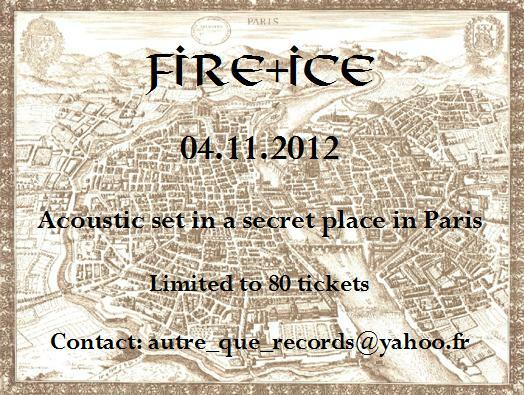 Autre Que is the official European concert/tour booker for Fire + Ice, Changes and Andrew King. The successful Fractured Europe Tour is over and first and before all, I'd like to sincerely thank Ian Read, Michael Moynihan, Annabel Lee and Bob Ferbrache for the time they dedicated to this project beforehand and for surpassing themselves performance after performance. My seat was privileged and you have surpassed my greatest expectations. I'd also like to express my thanks to all those who concretely helped to make this tour happen: Marco, Marta, Enrico and Stefano in Genoa; Char Trues in Leuven; the Bragagild team with Mads, Lars Erik and Troels in Copenhagen; John Færseth and Superfritz von Größenwahn in Oslo; Alexandra (Püssy A Go Go) in Stockholm; Alexey (Arcto Promo) in Moscow; Dev (Sowilo Media) and Steve (Pax Romana Promotions) in London; Maik and Ihrke in the area of Berlin/Potsdam; Jaroslav in Prague and Gergo and Agnes (Focus Abyssi) in Budapest. You all did a great job and I'm grateful to you all. 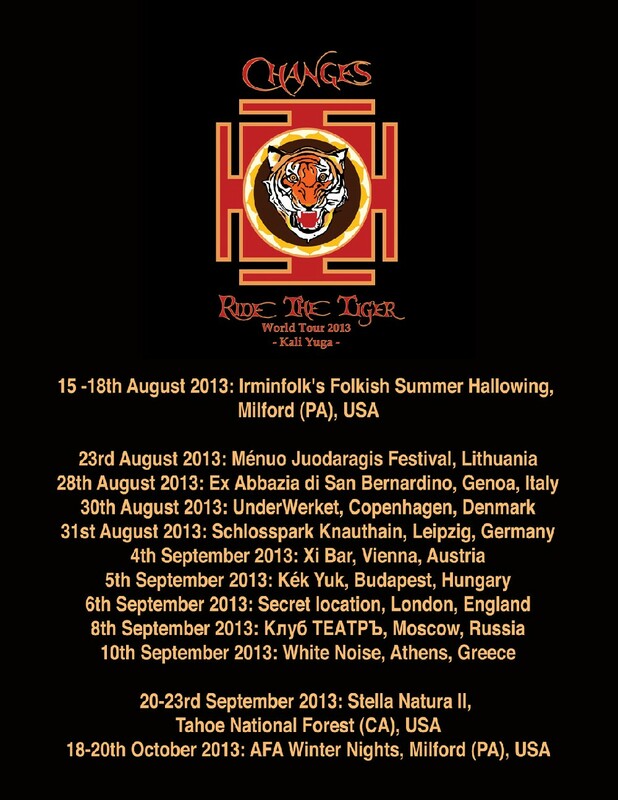 Thank you to each individual who attended the concerts and supported the tour. Your reactions are unanimously positive and enthusiastic. In return, I'm sure that the shows and these musicians gave you food for thought and something that will fill your heart for a long time. 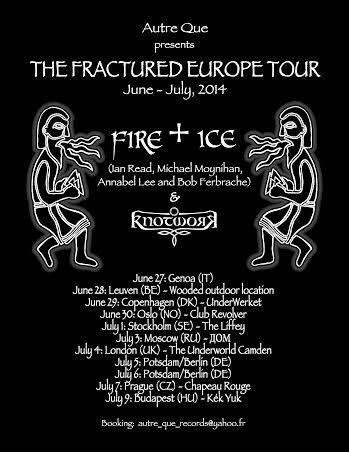 Appreciation also goes to the bands that supported Fire + Ice and Knotwork along the tour, with a distinctive mention for Andrew King who offered a masterful performance in Moscow and for the brilliant Scivias in Budapest. A special thanks to Nicholas, Ingrid and Ivan - they know why. My thoughts also go to some particular persons met in London, Berlin and Prague. It was obviously meaningful to see you at these rendezvous. And finally, my everlasting gratitude to Ian Read, Michael Moynihan, Annabel Lee and Bob Ferbrache for being who they are. 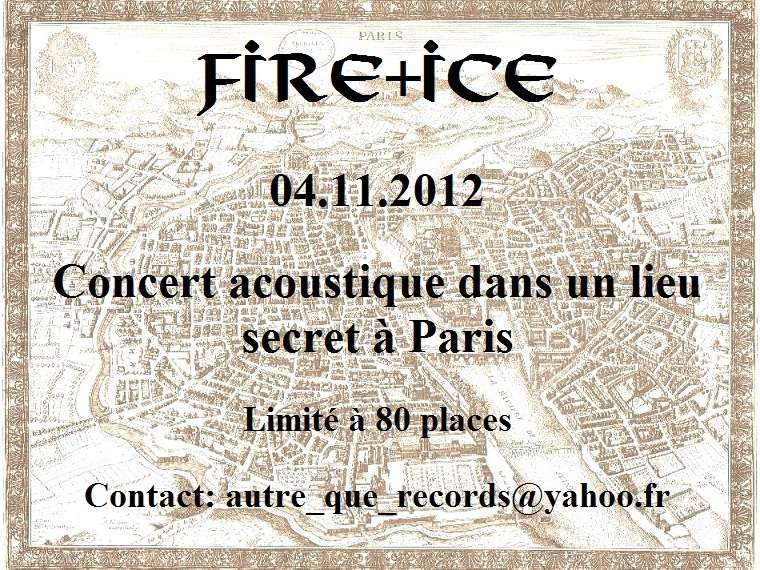 Fire + Ice will perform with a rare and unique line-up featuring Ian Read, Michael Moynihan, Annabel Lee and Robert Ferbrache. 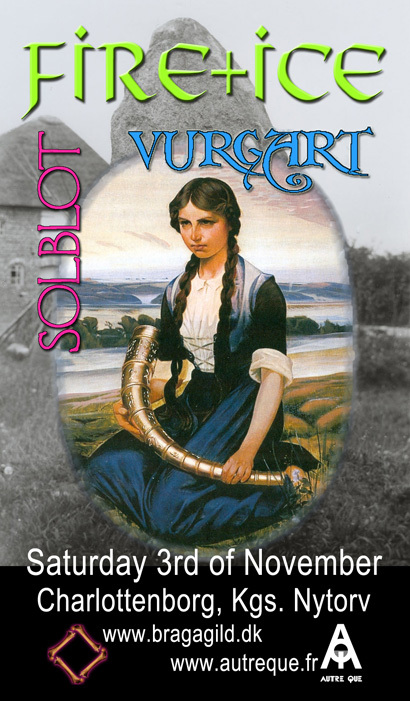 Knotwork (Michael Moynihan, Annabel Lee & Robert Ferbrache) will play as support band.